Say, have you ever heard of a show called The Wire? It apparently was on HBO for a while, but I've never heard anybody talk about it. I am, of course, being facetious. The Wire is one of the most beloved TV shows of all time. Some might consider it the best program ever. I, however, had never watched it. Not a single episode. That was the case... until recently. For Christmas, I received the entire series on DVD, leaving me pretty much no choice but to dive in. I was not against watching it; I had just never gotten around to it. Now that I've watched the entire first season, and I figured I'd share the thoughts and observations of a TV fan watching The Wire with fresh eyes. I should say for starters that I'm not a big drama guy. While I've watched a ton of comedy, I have seen far fewer dramas, and the only drama I consider to be "great" is Breaking Bad, which I covered for this very site. Those shows do, on the surface, have some similarities, but they are also quite different. The Wire isn't merely about drugs, or a handful of people in the drug game. It is, at least in the first season, about the extensive world of both the drug dealers and the police officers trying to catch them. The show has a sprawling cast, with well over a dozen characters getting significant playing time. Honestly, while I quickly came to recognize every character and their role within the show, some of them I could not identify by name ever after the first season. That isn't an issue with the show, I'd say. I admire the scope of what they are doing, and it also gave them a chance to have plenty of characters stand out. To most people, including apparently Barack Obama, the character that is most appreciated is Omar Little, the Han Solo of the show. However, while he is an interesting, easily parsed character, the gay stickup artist who only robs drug dealers, he is also kind of on the sidelines. The main plot of the first season is focused on a team that combines Baltimore's homicide and drug divisions in an effort to bring down Avon Barksdale's drug empire. Honestly, if I were to go into the plot, it would take a long time, and it would be difficult to properly articulate anyway. Let me just say, instead, that the story is told quite well over the show's 13 episodes in Season One. For the first few episodes, they are jut sort of introducing the characters and what they do. There isn't really a ton of action until late in the season, when a lot more bodies start dropping, and when one of the cops are shot when undercover. At that point, things really heated up and became more engaging to me, and it all culminates well, first in the courts, and then in a brief interlude afterward in where we sees where our characters are now, with some getting promoted and others, such as perennial fly in the ointment Jimmy McNulty (the closest thing to a main character the show has) get demoted. Also, we see Omar again because, you know, everybody loves Omar. We also see the drug game continuing despite all the effort put in by the cops, and with all the lives lost. That is a key theme of the first season. It isn't just about the police trying to catch drug dealers and murderers. It is about the bureaucracy that hampers both sides along the way, and the amount of corruption in the Baltimore government. Doing their work is almost more about glad handing and doing favors than actually doing work. This is, of course, greatly reflective of the way things actually work in the inner cities, which may be a noble quest for the show, but doesn't necessarily make it better viewing. In the first season, the police side of things provide much more interesting characters. Aside from D'Angelo Barksdale, none of the folks on the drug side really stuck out to me as a particularly good character. The tragic plight of Wallace did get to me, but that was brief and more about what happened to him than him as a character. D'Angelo, on the other hand, was complex and engaging from episode one. However, several members of the police force were really good characters in my opinion. Not just McNulty, but his partner Bunk, Jay the crass, wisecracking sergeant, Lieutenent Daniels, Kima, and, perhaps my favorite character, Lester Freamon. Bunk and Jay are less drawn out as characters, but both provided me with laughs while also contributing to the plots as well. Also, there were Omar and Bubbles, who were both good characters. Bubbles, the drug addict/informant, also had a tragic, engaging storyline as well. Overall, I thought every episode of season one of The Wire was good, and so was the season overall. Not great, but certainly good and certainly strong. Now, to devotees of the show, that might feel akin to completely savaging it. However, I just wasn't as high on it as those folks. I enjoyed it, and I look forward to watching the second season. I like it from start to finish, and it particularly picked up starting with Episode 10, entitled "The Cost." From that point on, it kicked it up a level. The first season told a good contained story, and also set the stage for the second season as well. I'm interested in seeing what characters get more screen time, and how things unfold, now that many characters from season one are dead or in jail. I have no longer never seen any of The Wire. It's a brave new world. Season One is in the books. I'll see you when I'm done with Season Two. I think the fact that you admittedly are not a huge fan of drama obviously has an impact on your take on this series. 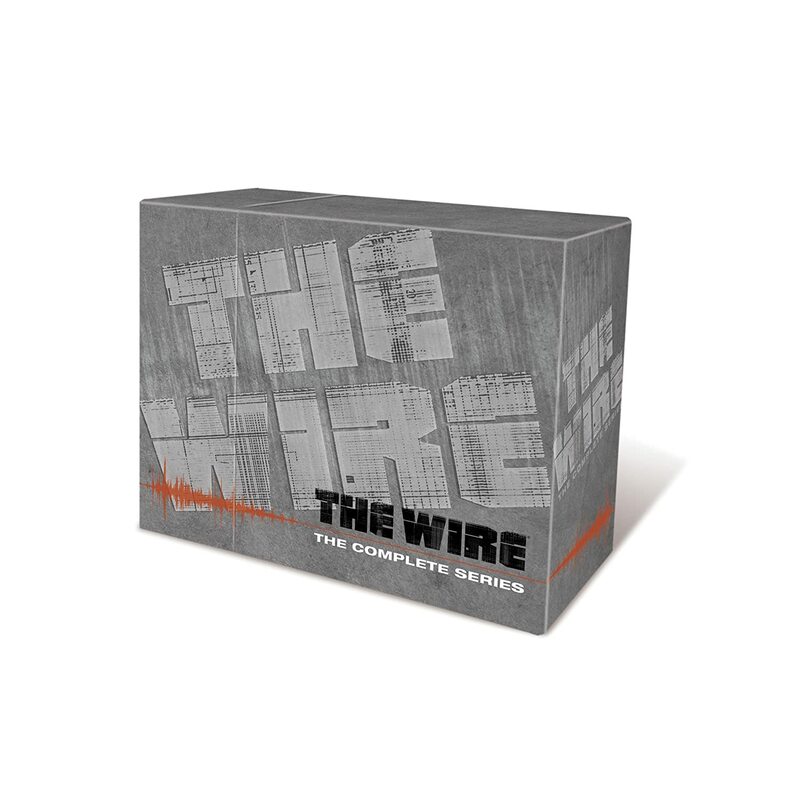 The fact that you were able to enjoy it as much as you did -- this is a drama that does reward patience, especially during the early stretches when a lot of characters and situations are thrown at you without a great deal of context -- says much about how well The Wire holds up.